Puretta means pure. It is a brand of Convenient and complete baby care products that are created keeping in mind modern mothers who are smart & well informed and would like to give their baby what's best for physical and mental growth. First few years of a baby's life lays the foundation for its future and thus requires the best care and nourishment which act as building blocks. 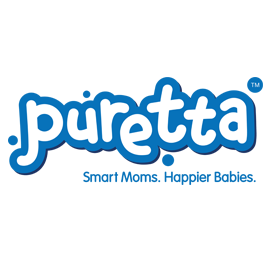 Puretta products help in providing nourishment and motherly care in the early years for a brighter and happier baby as happier babies grow up to be healthy and smart.